Marshall, Gerstein & Borun LLP was honored to host the Global Health Alliances Workshop. With participants from global leaders in emergency and developing world medicines, and led by Global Healthcare Innovation Alliances, the all-day workshop explored alliance formation, strategies to accelerate the development of vaccines, and framework agreement provisions. With decades of experience in structuring and negotiating multi-party alliances to commercialize vaccines and other medicines for infectious diseases, Pamela L. Cox and Julie M. Watson participated in the workshop. For more information on Global Healthcare Innovation Alliances’s efforts, please contact Julia Barnes-Weise. Pamela L. Cox concentrates on counseling related to intellectual property transactions, protection and transfer for clients ranging from multinational corporations to non-profit institutions. She is "highly recommended" for licensing, and described as one of "The World's Leading IP Patent and Technology Licensing Lawyers" by Intellectual Asset Management. 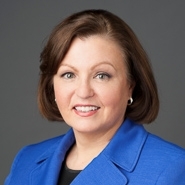 Active in the profession, Ms. Cox is the past Chair of the Life Sciences Committee for Licensing Executives Society International and was honored in 2016 with the President’s Award for Individual Service, recognizing her outstanding years of leadership and service as Chair of the LESI Life Sciences Committee. She is a Certified Licensing Professional (CLP) and serves on the Board and as Secretary for CLP, an adjunct professor at Northwestern Law School and also serves as delegate for LES USA/Canada and on the Association of University Technology Managers (AUTM)’s Business Development Curriculum Committee. 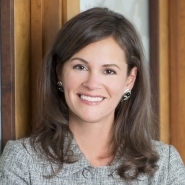 Julie M. Watson concentrates on counseling related to intellectual property transactions with a particular emphasis on technology startups and university technology transfers. As a licensing professional with over 25 years of experience structuring complex intellectual property transactions in-house, Ms. Watson has a deep appreciation of clients' needs and knows how to deliver strategic solutions.